The biggest residential glass door enclosures service in Atlanta and the surrounding area is MG Glass! We have expertly installed countless framed and frameless shower door enclosures in homes just like yours to the delight of our satisfied customers. Our professional design teams specialize in customizing bath enclosures for small or oddly shaped spaces, and our installation team understands your time is valuable and will complete the job timely. 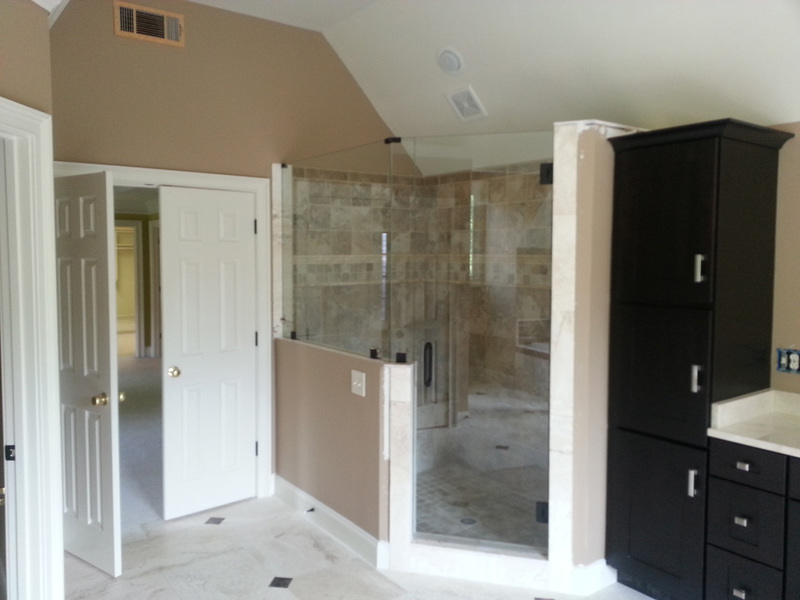 Contact us today for a free estimate and let us get started creating your dream glass shower enclosures. We guarantee our workmanship and materials to be the highest in the industry for your complete satisfaction. One of the fastest growing cities in the nation is Atlanta. It is the capital of Georgia and has an estimated population of 444,000 residents. Many of Atlanta’s residents enjoy the popular arts, culture, dining and shopping opportunities near the city’s core. Also located in Atlanta are the premier services of MG Glass providing custom and creative glass shower enclosures for many homes. We have a large selection of framed and the highly popular frameless styles for you to choose from. Installing our luxurious shower enclosures or bath enclosures from MG Glass will be sure to bring beauty and add an elegant, spa atmosphere to any washroom. The frameless glass shower enclosures in our gallery are very fashionable with clean lines and offer low maintenance elegance. At MG Glass our loyal customers know who to call for the highest quality shower enclosures at the most affordable prices. Our glass shower enclosures installation specialists are trained to ensure your new bath enclosures fit perfectly avoiding leaking and guaranteeing a long-lasting seal. No matter what your budget, MG Glass has the glass door enclosures to fit your style and taste. View our extensive gallery for ideas then pick up your phone and call (770) 452-9494 to get started on your new frameless shower enclosure!